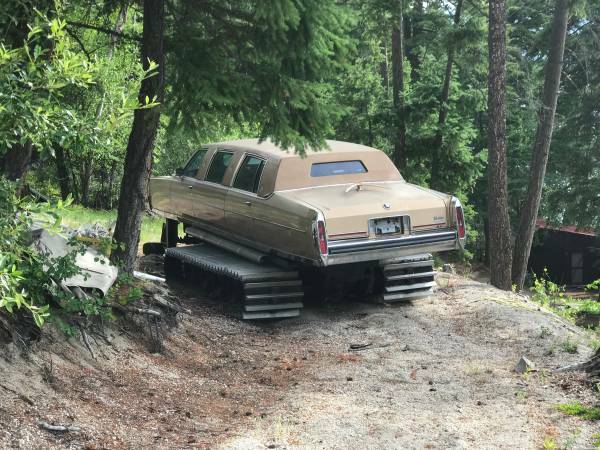 Currently for sale on Craigslist Vancouver. 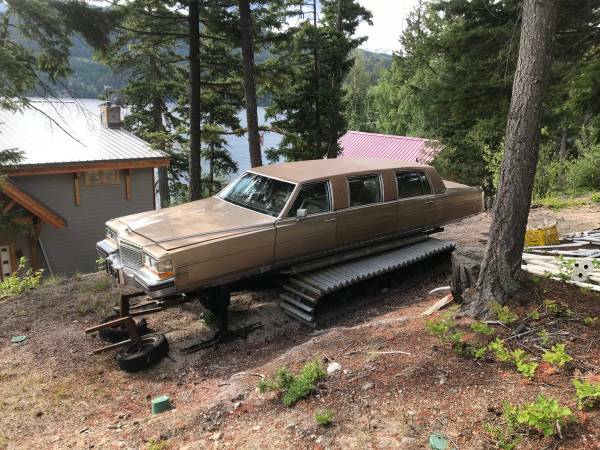 They're asking $6000 for it. 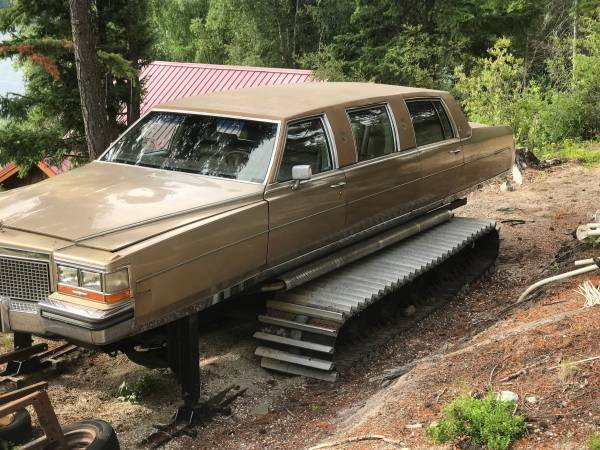 for sale snow cat limo , sv 250 bombardier snow cat combined with 1989 caddy stretch limo. Last used 2 years ago.